First speakers revealed for CISO 360 Congress – the new event for security leaders and risk managers. Europe’s most senior security leaders and risk managers will meet up in Barcelona 5-7 July 2017 to compare strategies to deliver the highest degree of security and privacy in a fast-changing digital landscape. 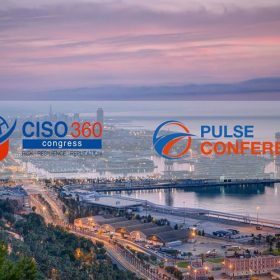 London, UK, 16 February 2017: Pulse Conferences is delighted to announce the first speakers for the CISO 360 Congress, to be held in Barcelona on 5-7 July 2017. This groundbreaking event will tackle critical issues surrounding the sustainable protection of business assets and reputation as cybersecurity becomes an increasingly important driver of enterprise value, making it a ‘must attend’ for chief information security officers and chief information risk officers alike. Held under the Chatham House Rule, sessions will cover questions such as: How are CISOs forging new roles and standards in the age of IoT and digital transformation? How are key business areas maturing and how can security directors stay one step ahead of change amidst ever more complex supply chain collaborations? What is the latest in global regulation, compliance and legislation and how can the CISO achieve a balance between risk-reward? The agenda includes a CISO 360 Boardroom discussion that offers a direct peer to peer benchmarking opportunity. Over the coming weeks they will be joined by a host of other high-profile speakers. Attendance at this event will cost £500 for practitioners who register before 5 May 2017. Please quote ‘press release’ when booking online. To reserve your place at this exciting event, register your interest or visit www.pulseconferences.com.